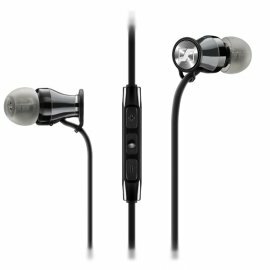 MOMENTUM In-Ear Sennheiser’s MOMENTUM headphones revolutionised fashionable headphones through premium design and acclaimed sound performance – matching style with substance. Now Sennheiser goes further by bringing the MOMENTUM ethos to an in ear headphone – the MOMENTUM In-Ear. Fusing elegant ergonomic design with new class-leading proprietary transducer technology from Sennheiser to deliver the MOMENTUM sound signature: A powerful bass response, detailed vocal projection and a great sound stage. It’s an incredible listening experience in the smallest, most compact form.